Will Chipotle ever be able to recover from the health scares that have plagued it for the past few years? Reports of sick employees and customers at a Chipotle (CMG) restaurant in Los Angeles earlier this week caused the stock to fall nearly 5% Wednesday. It was down another 2% early Thursday. Chipotle spokesman Chris Arnold said in an email to CNNMoney that the company takes "any report of illness very seriously." Arnold added that the company is aware of sick employees at one location in LA. This has been reported to local health officials and the employees are being held out of work. "As a precautionary measure, we have implemented heightened preventative procedures at this restaurant," Arnold said, adding that local health officials have inspected the restaurant already and were pleased with the operations. The location remains open for business. A spokeswoman for the Los Angeles County Department of Public Health confirmed in an email to CNNMoney that "is investigating a report from Chipotle corporate offices of ill employees with nausea, vomiting and diarrhea" at a restaurant located at 4550 W. Pico Boulevard in LA. "Chipotle is cooperating with the investigation. Public Health is working to determine the cause of illness" the spokeswoman said, adding that the Public Health office has not received reports from other Chipotle locations at this time. But according to reports on Iwaspoisoned.com, a crowd-sourced web site that lets people report food safety concerns, there have also been four reported incidents of customers who ate at the Chipotle at 4550 West Pico Boluevard who have gotten sick within the past week. Several reported that they had a fever and were vomiting after eating at the restaurant. But none of the people who posted to the site said that they saw a doctor for their symptoms. Chipotle's Arnold said that "we are aware of a few reports on user generated reporting sites but there is no clinical validation associated with those reports." Still, the incident at the LA restaurant is the latest setback for Chipotle as it tries to recover from its myriad problems during the past few years. The stock is down 20% this year, even as many other restaurant stocks have soared thanks to solid sales and a flurry of mergers in the sector. Chipotle was once the darling of the fast casual restaurant industry, but that changed following an E.coli outbreak that affected numerous restaurants in several states in 2015. 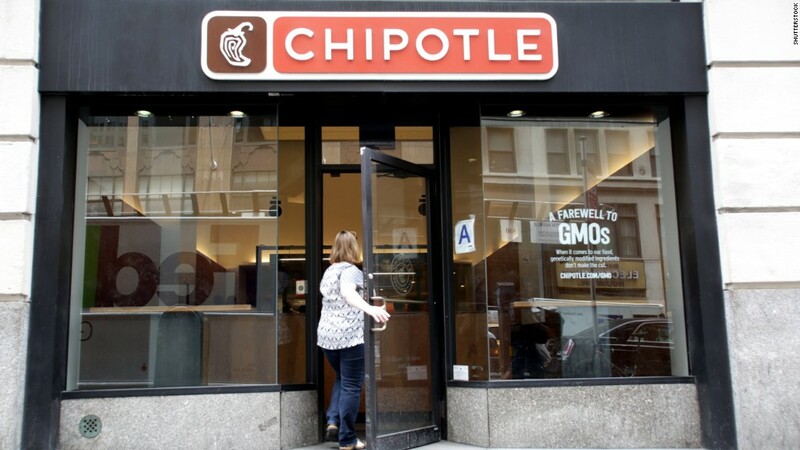 Although the Centers for Disease Control and Prevention declared the outbreak over in February 2016 and sales have started to rebound a bit, many consumers and investors are still wary of Chipotle. Chipotle has also had to deal with other health issues at some of its restaurants lately, including a norovirus outbreak in Virginia and rodent sightings at a Dallas location. A massive data breach that allowed hackers to access credit card information at nearly all of Chipotle's restaurants earlier this year hasn't helped. Making matters worse, the company's new queso is widely considered a flop, with many customers and food reviewers describing it as "gritty." Chipotle has since revamped the recipe to make it creamier and even held a promotion earlier this month where it gave free queso to customers who came to a restaurant wearing a "cheesy" holiday sweater. The company is also hoping to find a new leader to turn things around. Steve Ells, Chipotle's founder, chairman and CEO, announced last month he will give up the CEO role and become executive chairman once a new CEO is hired to replace him.